Climate Care Air Conditioning & Heating provides installation, replacement, and service for all types of furnace systems in Coppell, Texas. 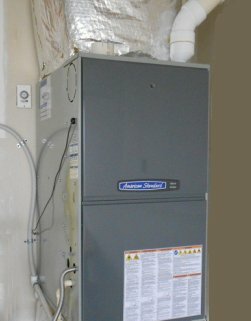 Whether you need residential furnace installation service for a new home, furnace repair for a broken unit, or a furnace replacement for an old unit, we can assist you. We offer residential HVAC installation service as well as offer home ductless mini-split installation repair and maintenance for homes in Coppell, Texas, that do not have ductwork. We also work on HVAC variation units and provide services such as heat pump installation, maintenance and replacement. Below are some indicators that it may be time to consider replacing your furnace in Coppell. Is your heating system just too loud? Furnaces and heating systems shouldn't make that much noise. So a loud heating system can indicate a problem with your system. 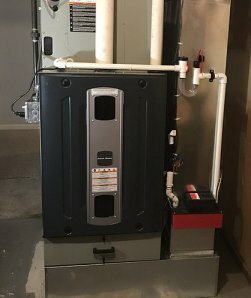 Is your furnace/heater more than 10 years old? Older units are less energy efficient and less effective than newer models because of advances in technology and the impact age can have on heating systems. If your heating system in Coppell, Texas, is more than 10 years old, you may want to replace it with a newer, highly efficient model to save you energy and money. Does your heating system break down frequently? If your heating system is no longer reliably working during the cold winter months or your heating bills are increasing it may be time to look at replacing your furnace or heater. Our technicians will be upfront with you before performing a repair on whether the cost is likely worth it for the age and state of your furnace or heater. Are there rooms in your Coppell home that are cold while others are warm? If some rooms in your Coppell home are cold while others are hot, it may indicate poor operation of your heating system or problems with ductwork or insulation. If a technician determines it is not either of two, you may want to look into heating replacement. Trusting Climate Care Air Conditioning & Heating means you can have confidence that your new heating installation will be done correctly. We are authorized by American Standard so that you can also have peace of mind we are an installing an excellent product that is protected with our service excellence guarantee. In addition, because we offer a wide variety of quality products, we will always help you to stay within your budget at the same time providing the best quality furnaces available. Climate Care Air Conditioning & Heating is centrally located in Coppell and is happy to serve the surrounding cities of Carrollton, Coppell, Flower Mound, Highland Village, Irving, Coppell and Valley Ranch. If you are in Coppell, Texas, and you have any questions or would like to schedule a service call, please do not hesitate to call Climate Care Air Conditioning & Heating at 972-353-5257. For your convenience, feel free to request services from this site.